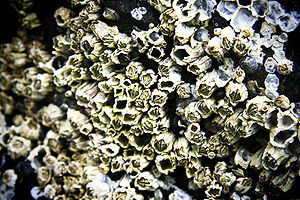 Barnacles are small molluscs that attach themselves to large ships. One barnacle doesn’t make any difference to how a ship moves, neither does two. I’m not sure what the tipping point is, but at some stage, there are so many barnacles that they start to have a negative impact. Seaweed and other debris starts to get caught and the ship doesn’t move with as much efficiency as it used to. And then it’s time for the owner of the ship to have the barnacles scraped from the hull. The same is true for us as well. There are things that can encroach upon our ability to meet our goals in life. They may be small and one or two may not have much of an impact, if any, but over time if we don’t deal with them, we will be dramatically slowed down in our aims, perhaps even sunk. What could these barnacles be for us? They could be a particular behaviour that leads to a habit that leads to an addition. They could be Facebook, TV, email or other time wasters. They could be how we treat our body. Exercising less and less while eating more and more. They could be neglecting our relationship with God, gradually find less time to pray and read our bibles, or finding more excuses to not go to Church or spend time with other believers. They could be how we think about others, gradually thinking less of those around us while expecting more from them. They could be lies that we tell ourselves, justifying behaviour that we know is wrong on the basis that it doesn’t seem to hurt anyone else. They could be our thought processes, with our responses to our circumstances gradually become less optimistic and more melodramatic. Most of the above elements build up over time and will rarely bring us to a halt immediately. There are times in my life when I need to scrape the barnacles from my hull as I’ve let them slow me down and they could end up stopping me altogether. Do you have any barnacles that are starting to hold you back?